The above planning application is for the construction of a Connected and Autonomous Vehicle testing track, associated buildings, infrastructure and landscaping over part of the western edge of the nationally important registered battlefield of Bosworth (1485). It is due to be considered by Hinckley and Bosworth Borough Council Plannign Committee on 28 August 2018. Like many other interested parties, the Trust only learned on 22 August that this application had been made. The Trust agrees with Historic England that the battlefield will be harmed by this development, but judges such harm would be toward the upper end of the scale for two reasons. Firstly the discovery of further battlefield archaeology in the form of a roundshot from the battle on the proposed development site is, the Trust would argue, of special interest in respect of the Government’s guidance (Conserving and Enhancing the Historic Environment) on assessing substantial harm to heritage assets, despite its limitations. The battlefield archaeology at Bosworth is already recognised in research excellence framework reporting as being of international importance and the new battlefield archaeology find raises the possibility of further important archaeology from the battle across the proposed development site being found. The proposed development also sits in the vicinity of the crest over which the Fenn Lane approaches the battlefield and it is almost certainly where the rebel army first saw the royal army’s deployment. This too is arguably a point of special interest on the battlefield and the development, if it goes ahead, would have a serious impact on this important feature. Notwithstanding this, the Trust is alarmed at suggestions that because only a small part of the registered battlefield area will be affected (and therefore the damage would be less than substantial), it should be allowed to proceed. The Trust recognises the constraints imposed by current national planning guidance for heritage assessments, but would argue that battlefields represent a special case which has not been fully considered by this guidance; the whole battlefield constitutes a single heritage asset and should be treated as such. Such marginal development risks in particular the incremental destruction of the battlefield at Bosworth. Agreement to this planning application is likely to generate others and, in the Trust's view, the Council will find these hard to reject given the precedent this case establishes, especially if such applications are small scale . In such circumstances the Council would have presided over the destruction of one of the most significant military heritage sites in England as Bosworth is, along with Hastings and Naseby, one of the most important battlefield sites in the country. The Trust also questions whether the full economic impact of the development has correctly been assessed. The battlefield and associated Battlefield Centre bring economic benefit to Hinckley and the surrounding area. 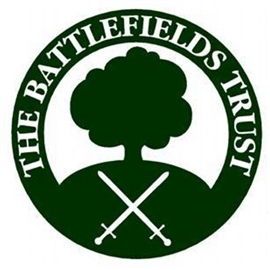 The negative impact of the development on battlefield tourism does not seem to have been fully factored into the public benefit assessment and the Trust urges that this should be undertaken in advance of any decision being made. The Trust therefore objects strongly to this application and has asked the Hinckley and Bosworth Borough Council Planning Committee to reject it.